Does This School Teach How to Read Music? We're glad you are considering music lessons with our school! Here are three things you'll want to know. 1) The Private and Group Lessons come together as a package. Each week, the students receive both a Private Lesson and a Group Lesson. 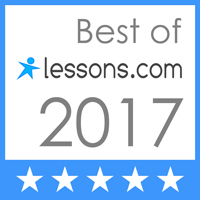 The weekly Private Lesson builds the student's skills in note-reading, ear training, singing, piano hand and pedal technique, transposition into other keys, improvisation, theory, composition, musical interpretation and artistry. Special attention is given to constructing a lesson program that meets each student's individual needs. At all stages, the student is taught how to practice effectively. As the student progresses into late-elementary and early-intermediate pieces, we introduce music history, music dictionaries, and research skills. 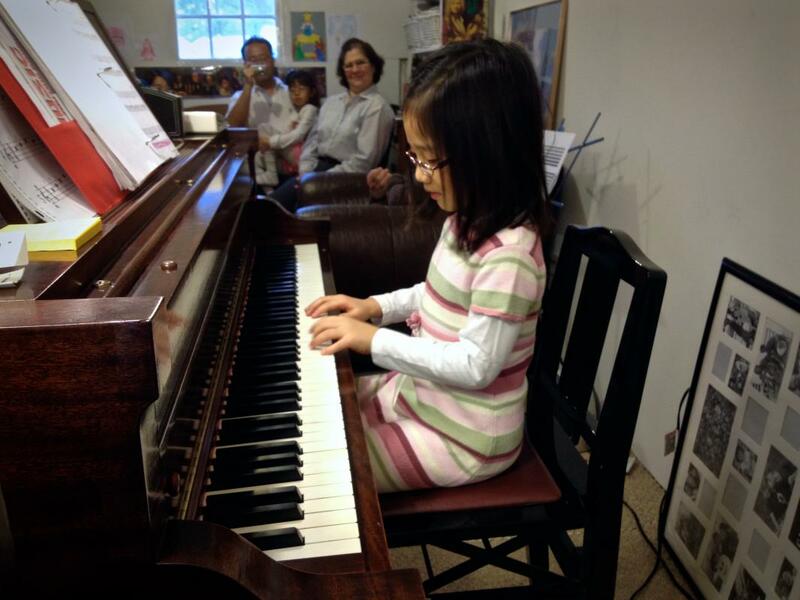 During the intermediate and advanced years, piano students receive instruction in advanced piano and pedal techniques, with an emphasis on good sound and deciding for themselves what techniques will produce the desired sound. The same is true for advancing voice students, as we continue to build their skills in vocal production, diction, and interpretation. Students receive a complete and well-rounded program that teaches them how to be independent learners. Furthermore, they build a true and enduring love of music. The weekly Group Lesson builds on what the students have learned in their individual lessons earlier in the week. We call these group lessons, "Group Classes" or "Performance Classes." We start by singing and playing "Happy Birthday" to the birthday students and parents in the room, and also to the Composer of the Week. 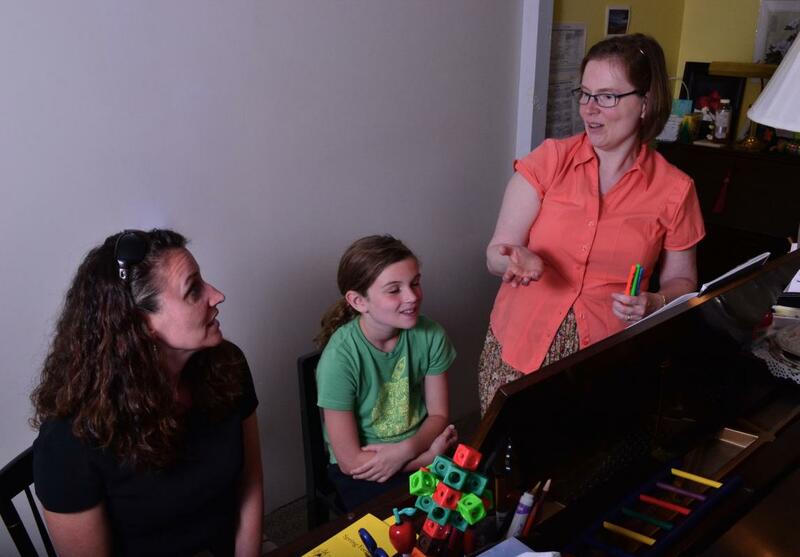 Making piano-playing and singing a joyful part of the students' everyday life builds appreciation and confidence. Next, we sing and play, "For They're the Jolly Good Fellows!" for all the students who practiced all 7 days of the past week. These students also receive a prize from the prize jar, just as grown-ups receive a paycheck for their efforts. This is a well-earned prize! Public recognition of the students who are working hard motivates all the students to practice. After the preliminaries, the students demonstrate for each other the pieces they are working on. We call this an Informal Recital. The pieces are works in progress, and no one expects perfection. Learning how to make a mistake without being flustered is so important in music, and in life! The atmosphere of the Informal Recital is friendly and positive, and the teacher models for the students how to support and encourage each other. At the Informal Recital, special instruction is given, before each piece, in presentation skills. Each of the students practices how to walk on stage, hold a microphone properly, make friends with the audience while introducing one's name and piece of music, bow gracefully to the audience, and all the other fine points of public performance. 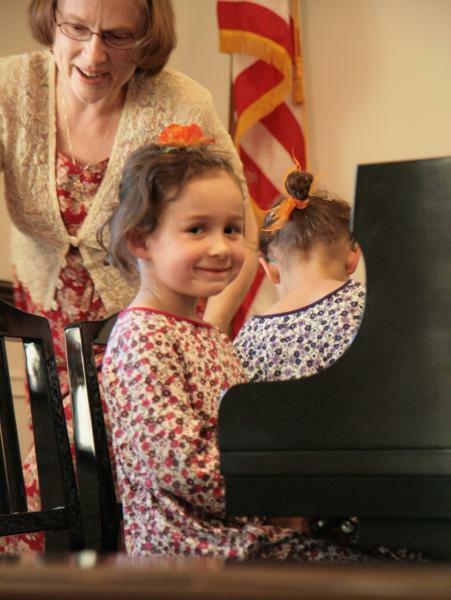 When our Formal Recital comes along in the Spring, the students are well-prepared and confident. They also feel confident in talent shows, church services, and other public performances because of this careful preparation. When the informal recital is done, the students participate together in musical games and activities that reinforce learning. 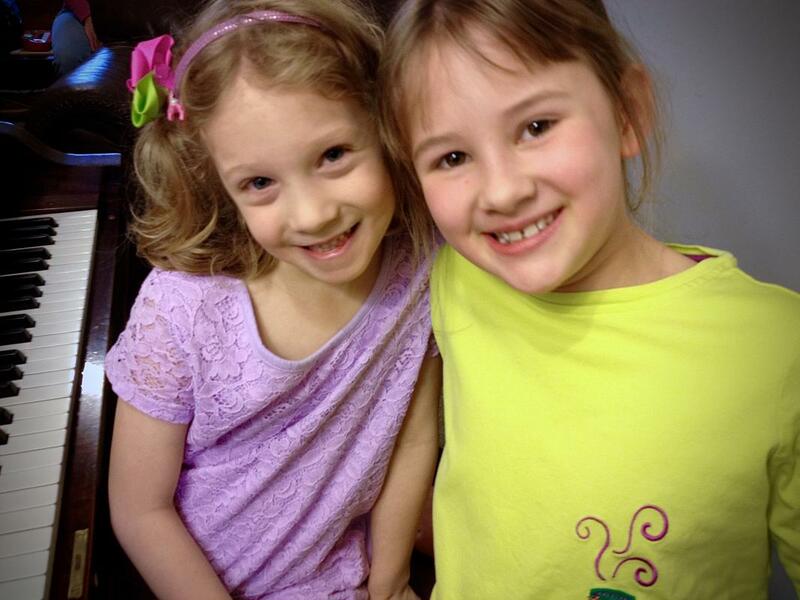 The students build friendships and a camaraderie that make them eager to come to music lessons. While no one loves the chore of practicing every day (that's just human nature, it's normal! ), the excitement and joy the students feel at the group lesson motivates them to have their pieces ready for the next recital class, to show their friends. Is there a long-term benefit from the Group Lessons? Definitely, yes. Weekly attendance at the Group Class builds the children's general presentation skills and confidence, which will be useful in whatever career fields they go into as adults. Photos above: Top: A private lesson. Middle: Playing for others in the weekly Informal Recital. Bottom: Students reacting together at the end of a group lesson's ensemble time. Lots of laughter and fun! 2) Parents attend the private and group lessons with their children. The parent is the most important person in the child's world. Role Model. Cheerleader. Practice Coach. Homework Helper. Therefore, it makes sense for the parent to be present and completely aware of what the child is doing during lessons. is what makes our students successful. 3) Learning any musical instrument takes about 10 years of study, to achieve mastery. Be prepared for this. Learning an instrument, including piano and voice, is hard work. But, it is also the most fun your child will ever have. Congratulations. You are giving your child a gift that will last his or her whole life. When we reach age 90 or 100, soccer or basketball will no longer be something we can do for fun. But everyone who has learned to play piano and sing, can still play piano and sing. They can still have fun. Don't let your child quit. 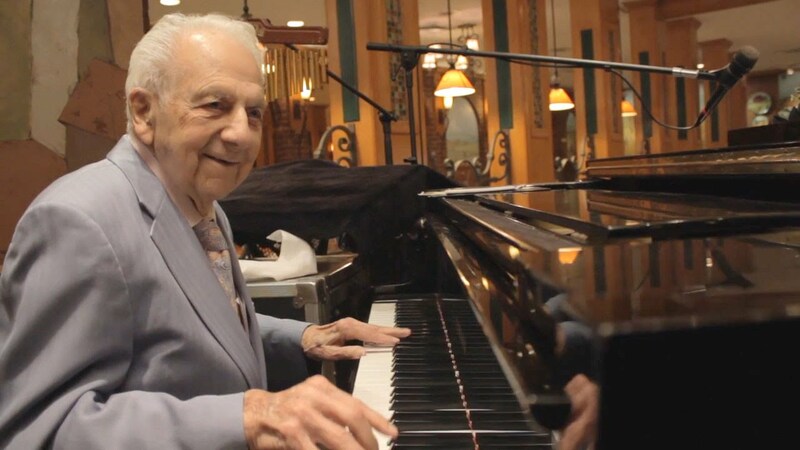 Piano lessons are a gift that lasts, for LIFE. Click Here to see what others are saying about our teaching! Young children learn best in a playful atmosphere. Learning with parents in a private lesson, and then participating in a group lesson with new friends, makes it even more fun. Click here for more information. Have you always wanted to learn piano? 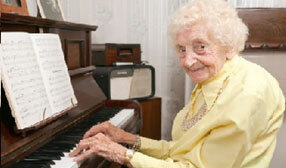 Enjoy companionship and relaxing fun as you tickle the ivories with new-found friends. 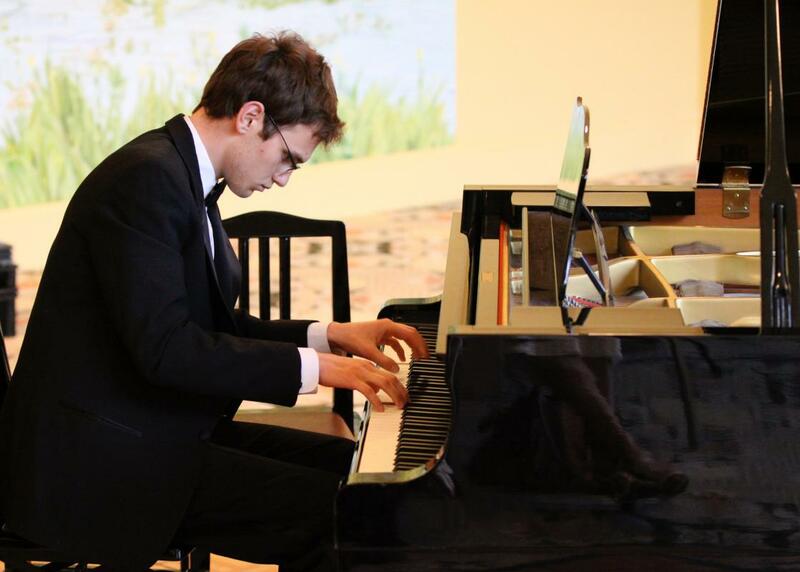 Click here for more information about both private lessons and our Senior Piano Society. It's time to make practicing more fun! Play your songs in unison with other students at your level. Meet new friends, jam together on songs, and exchange tips and strategies. Best of all, enjoy the thrill of playing unisons and duets. Nothing is more fun! Ask the teacher for more information!